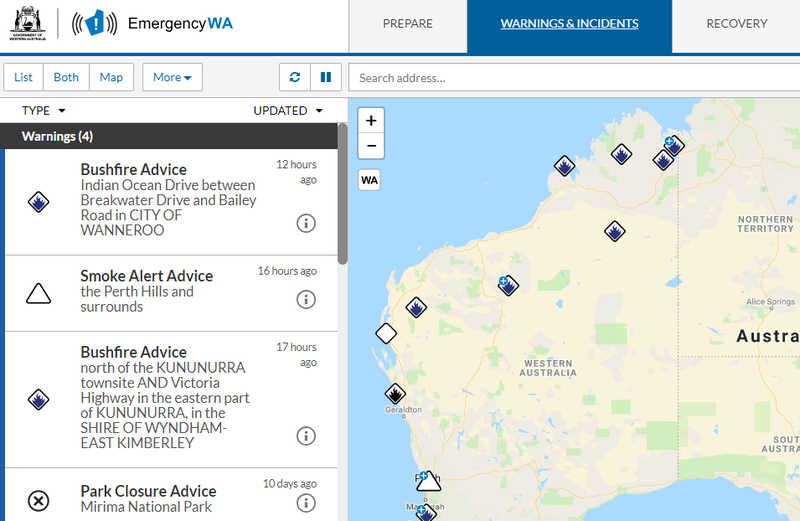 Emergency WA has a map-based display with the best available emergency information from across the State. Here you can find information about fires, floods, storms, earthquakes, tsunamis, hazardous material incidents and traffic crashes. Remember, we can't be everywhere at once, so you may know more about what's happening near you. Always be aware of your surroundings. If you think you might be in danger, act immediately for your own safety. In a life threatening emergency call triple zero (000).